Travelers looking for an adrenaline boost flock to Jinja, a bustling town on the shores of Lake Victoria, known as the source of the White Nile. Start off your visit on the 6th (Tue): take a tour by water with Boat Tours & Water Sports and then contemplate the long history of Source of the Nile - Speke Monument. To see ratings, maps, where to stay, and tourist information, refer to the Jinja trip builder . London, UK to Jinja is an approximately 15-hour flight. The time zone difference moving from Greenwich Mean Time (GMT) to Eastern African Time (EAT) is 3 hours. Prepare for much warmer weather when traveling from London in November: high temperatures in Jinja hover around 31°C and lows are around 20°C. Finish your sightseeing early on the 6th (Tue) so you can drive to Entebbe. Nestled on Lake Victoria Peninsula, the laid-back town of Entebbe once served as seat of the colonial government, yet remains widely known as the scene of the 1976 Israeli rescue of hostages kidnapped by Palestinian and German plane hijackers. 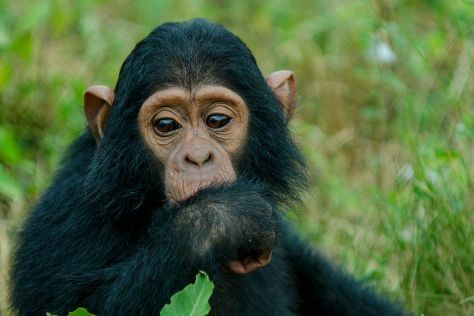 Start off your visit on the 7th (Wed): tour the pleasant surroundings at Ngamba Island Chimpanzee Sanctuary. For more things to do and more tourist information, read our Entebbe trip itinerary app . Traveling by car from Jinja to Entebbe takes 2 hours. Alternatively, you can do a combination of bus and car. In November, plan for daily highs up to 30°C, and evening lows to 21°C. Finish up your sightseeing early on the 7th (Wed) so you can travel to Arusha. Start off your visit on the 8th (Thu): see the interesting displays at Cultural Heritage Centre, examine the collection at Tanzanite Experience, then take a stroll through Arusha Village Experience, and finally stop by Sidai Center Workshop & Retail Store. On your second day here, see the sights as you ascend with a climbing tour. 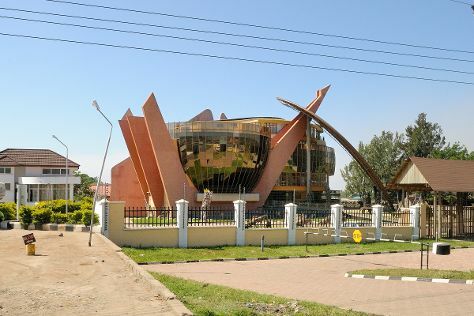 For where to stay, traveler tips, maps, and other tourist information, read Arusha online tour planner . You can do a combination of flight and taxi from Entebbe to Arusha in 3 hours. Alternatively, you can do a combination of flight and shuttle; or drive. November in Arusha sees daily highs of 31°C and lows of 19°C at night. Wrap up your sightseeing on the 9th (Fri) to allow time to travel to Zanzibar City. Get some historical perspective at Old Slave Market/Anglican Cathedral, Stonetown and House of Wonders (Beit-el-Ajaib). You'll explore the less-touristy side of things at Nungwi Beach and The Old Fort (Ngome Kongwe). 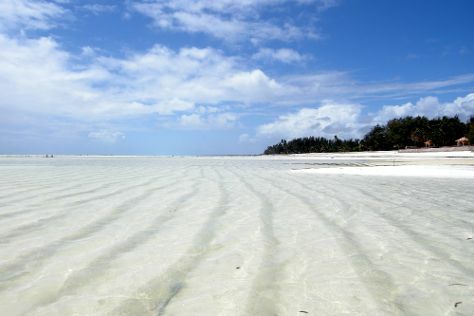 Explore the numerous day-trip ideas around Zanzibar City: Paje Beach (in Paje) and Uroa Bay (in Uroa). And it doesn't end there: contemplate the long history of Mtoni Palace Ruins, enjoy the sand and surf at Nakupenda Beach, explore the ancient world of Hamamni Persian Baths, and take in the architecture and atmosphere at Christ Church Cathedral. Start your trip to Zanzibar City by creating a personalized itinerary on Inspirock. Traveling by flight from Arusha to Zanzibar City takes 2 hours. Alternatively, you can do a combination of taxi and flight; or do a combination of bus and ferry. Traveling from Arusha in November, expect Zanzibar City to be somewhat warmer, temps between 36°C and 27°C. Finish your sightseeing early on the 13th (Tue) so you can travel to Singapore. Do some cultural sightseeing at The Helix Bridge and The Changi Museum. Visit Sentosa Boardwalk and Kranji War Memorial for their historical value. Next up on the itinerary: wander the streets of Arab Street, shop like a local with Little India, kick back and relax at Changi Beach, and see the interesting displays at National Museum of Singapore. For more things to do, photos, reviews, and tourist information, refer to the Singapore road trip site . Traveling by flight from Zanzibar City to Singapore takes 17 hours. Alternatively, you can do a combination of ferry and flight. The time zone changes from Eastern African Time to Singapore Time, which is usually a 5 hour difference. In November, plan for daily highs up to 37°C, and evening lows to 29°C. Cap off your sightseeing on the 18th (Sun) early enough to travel to Denarau Island. Denarau Island, a small 2.55 sq km (1 sq mi) private island connected to mainland Viti Levu by a short causeway, includes eight beachside resorts arranged around the 18-hole Denarau Golf Course. You'll explore the less-touristy side of things at Sri Siva Subramaniya Temple and Fishing Charters & Tours. Explore Denarau Island's surroundings by going to Nadi (Scuba & Snorkeling & Sabeto Hot Springs and Mud Pool). The adventure continues: steep yourself in history at Momi Bay Battery Historic Park and make a trip to Prestige Laundry. For more things to do, ratings, reviews, and tourist information, refer to the Denarau Island travel itinerary planner. You can fly from Singapore to Denarau Island in 13 hours. Another option is to do a combination of flight and bus. The time zone changes from Singapore Time (SGT) to Fiji Time (FJT), which is usually a 4 hour difference. Traveling from Singapore in November, expect a bit cooler with lows of 26°C in Denarau Island. Finish up your sightseeing early on the 21st (Wed) so you can catcht the bus to Sigatoka. Located at the western end of Coral Coast, with its long sheltered beaches and popular surf spots, Sigatoka is best known for its immediate surroundings than for the town itself. Get a sense of the local culture at Tavuni Hill Fort and Vatukarasa Village. Explore hidden gems such as Nature & Wildlife Tours and Kula Wild Adventure Park. And it doesn't end there: kick back and relax at Natadola Beach, look for gifts at Hot Glass Fiji, relax and rejuvenate at some of the top local wellness centers, and explore the fascinating underground world of Naihehe Caves. For other places to visit, traveler tips, where to stay, and more tourist information, read Sigatoka trip planner . Take a bus from Denarau Island to Sigatoka in 1.5 hours. In November, daytime highs in Sigatoka are 36°C, while nighttime lows are 26°C. Finish up your sightseeing early on the 24th (Sat) so you can travel back home.